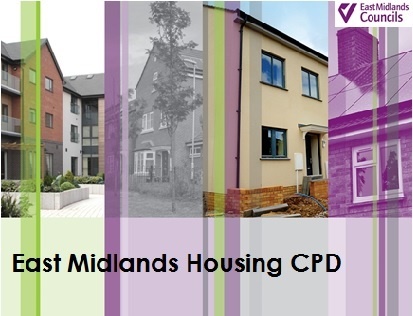 East Midlands Councils is launching a programme of Continuing Professional Development, through 6 knowledge based seminars for local authorities and Housing Associations in the East Midlands. The programme will tackle issues of relevance to local authorities and Housing Associations and all the seminars will be held in Melton Mowbray. The cost to local authority members of EMC will be £575+VAT per participating organisation per year. The 2017/18 seminar topics have been developed in conjunction with Heads of Housing within local authorities in the East Midlands and recognises the diverse and wide ranging needs of local authorities in relation to Housing. These topics will change in future years to reflect the diverse nature of planning. Additional places at events can be purchased (£50 per person where organisation already subscribes to the programme, £175 per person for organisations that do not subscribe). Working with Housing professionals from across the East Midlands, EMC will develop a programme of events which will draw on housing expertise both inside the East Midlands and beyond.